It sure is a bad situation, Andy. Great list. Clears up a ton of questions I have had about the Goog’s review system. BTW, typo in last point “but exceptions about”. Thank you! I hear you, Justin. 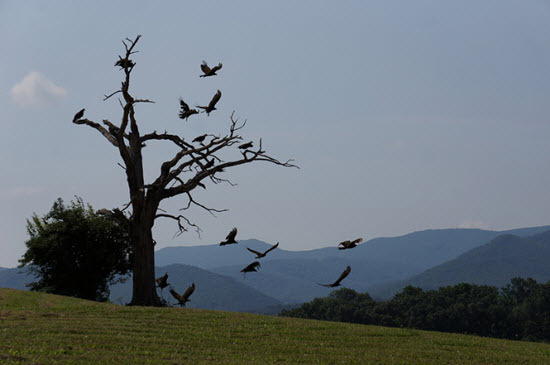 The light was at the beginning of the tunnel (not counting the photo of buzzards): Google reviews can help you haul in a lot more business, if you approach them in the right way. Great post. I agree with all these hard truths. So I just tell my clients to think of lead capture and customer reviews as if it were oxygen for your business. Breath in by capturing leads on your home page and breath out by getting reviews. Breath in and breath out. Over and over and over. Do not worry about ranking or anything else. Make it easy to capture leads and get reviews. The rest will take care of itself. That’s an excellent way to think about and approach it, Rich. Asking for reviews should be a habit – almost a reflex that kicks in whenever you notice a customer seems happy. It’s a shame for people to work their tails off to learn their craft, get into business, stay in business, get customers, and do a good job for customers – only not to ask those customers for a review. It’s stopping at the 1-yard line. That’s a great suggestion, Len. The business owner will just need to front-load his/her response to the review, so customers won’t just tune it out. Phil, to follow up from my reply yesterday. Just got a message from a client that had a fake, negative review. I applied the above, the review was removed. @Len Ferrara; I take it the writer removed the review, not Google. Is that correct? Or did Google remove the review? Dave, having spoken with the company after it was removed, they did not receive any notification from Google. So I would have to believe it was removed by the reviewer. And that’s the other reason it’s worth taking the time to write out a well thought-out response: it can have more influence than a positive review! If a company has many positive reviews and one negative review, which has a reply that logically addresses every point in the review, it has a huge psychological impact. Because each point is explained from the company’s perspective AND they offer a resolution, when a third-party reads it, their reaction is the person making the review either lied or is unreasonable AND the company believes in their product or service and wants to make their customers happy. For added effect and to make it stand out even more, make it as LONG as possible and load it with keywords! (not spammy but written “naturally”). Anecdotally I see far fewer issues in UK serps, but that could perhaps just be the niches I see regularly. In my experience, Google’s oversight is even worse outside of the US. On the other hand, some of the problems (like review-buying) don’t seem to be as widespread outside of the US. In the UK spammers seem to go pretty much unchecked, but they’re fewer in number. Hopefully, someone at Google reads your blog. I believe they do…very occasionally. Sigh. C’mon, Google. You’re better than this. Embedding Google reviews on my site was very easy. Too only a few minutes. Well, although I do prefer WP, I work with clients who use any platform – including none (i.e. hand-coded sites). My preferences don’t matter much here, though. The “there’s no simple way” comment was just based on the assumption that the reader doesn’t use a platform like Joomla. I was suprised, I just got 4 reviews. Then Google sent my next client who I had not asked to write a google review a message inviting her to review her session with me. Did the message come directly from Google? If so, I’d love to see what they sent your client (made anonymous as needed, of course). If Google’s now asking people to review specific businesses, that’s news to me. I asked her and she said it just appeared on her phone as she was eating lunch about a half hour after she left my office. It made me feel like they were looking for an unsolicited review instead of a requested review. Thanks, Gail. Sounds like it may not have been from Google, but rather from a third-party ORM service. I’m a local guide, and I Google often asks me to review where I’ve been; restaurants, metro station, parks, anywhere that can be pinned on a map. Google doesn’t seem to distinguish between trivial (why would I review a metro station) and more substantive places (restaurant, gym, etc.). BTW, some of the questions that Google asks are irrelevant or completely inappropriate, but the only choices are yes/no/don’t know. The advance AI capability evidently is not used for reviews. 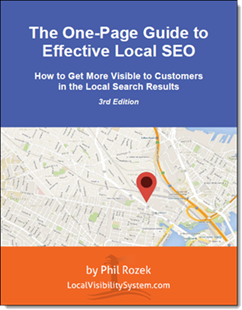 As a “Local Guide” myself, I’d agree that Google’s techniques are ham-fisted at best. The Google Customer Reviews survey enables customers to rate their purchase experiences with your site. If a customer opts in, Google sends them a survey after their order has been delivered. The Google Customer Reviews survey is designed to allow customers to review their entire shopping experience. By adding a few optional lines of code, you can also get customers to leave feedback on the specific item they purchased on your site. This article: https://support.google.com/merchants/answer/7124322?hl=en&ref_topic=7125793 explains how you can set up the survey opt-in and ensure that your customers can start filling it out immediately. Your blog posts are always a pleasure to read and the updated information helpful. I find the sites that make their way with no reviews into the snackpac do not tend to stay there for very long. Thank you and keep blogging! Yeah, they don’t seem to stick around as long, seemingly because those businesses tend to get fewer clicks. Unfortunately mostly true. The local pack algo is a joke. The best way to get Google’s attention is to show something affects their paid advertising income. The pack algo is good at ranking businesses that play by the rules. The wheels pop off the wagon pretty quickly. Great post! 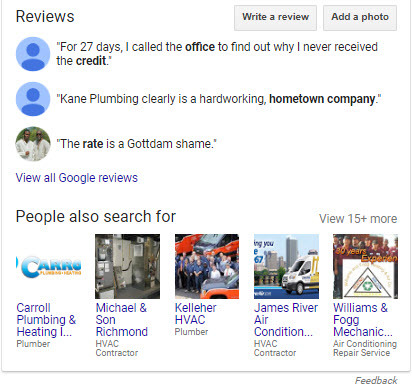 I manage Google reviews for over a dozen of our businesses and it’s maddening getting Google to remove reviews that violate their guidelines. I strongly dislike Yelp but at least I can get them to remove reviews that violate their guidelines. And now we have to manage Google Q&As too without a useful interface! Yelp is very good about removing certain kinds of reviews, but takes the easy way out when it matters most: when a non-customer reviews a business. Phil: If you go to FB and search on something like review swapping or a similar phrase you can find very active review swapping groups. I joined one. A ton of requests for review swapping every day. Healthy number of local guides on these review swapping groups. Its incredibly open. (no I have never swapped a review!!! ). From a reading perspective all those G reviews without any content–They stink. 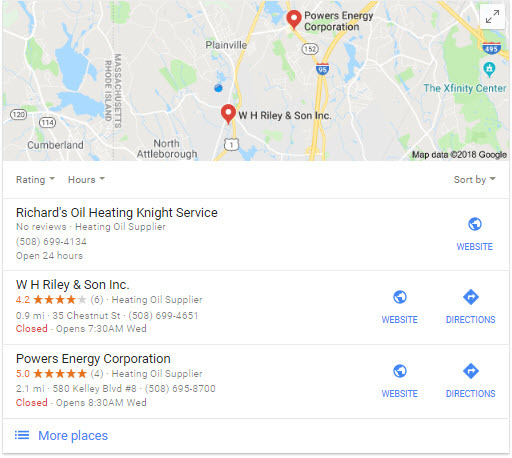 If you do read reviews and you are looking for informative content–they provide google with a “picture” that is five miles wide and one inch deep. They are worthless. You don’t find that lack of content elsewhere. Some folks will stop reading and relying upon them simply because they reek of worthlessness or worse. Google obviously likes this high volume of reviews. It works to their advantage. They could care less about policing it in any way. Yeah. That’s what happens when there just aren’t consequences – from Google or from The Law – for anyone but a small sample of the most-egregious offenders. At least most customers have pretty good BS meters. Great stuff here again Phil. Appreciate you linking my post as well. One thing I will add is to #24. You can find minimal information about reviewers but it doesn’t help much. 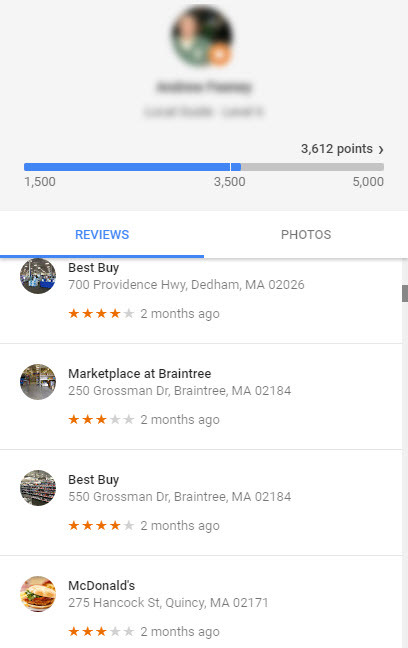 If you click on the review/reviewer, you can see how many reviews the “reviewer” left, the businesses they reviewed, and where the businesses are. I use “reviewer” in quotes because many times these spam listings are not from people who have actually visited the business. You can get an idea if the “reviewer” is spammy or not due to the locations/times they review a business. Like you said, if they reviewed 10 moving companies in 6 states in 1 month, that’s a red flag. Not that it will do anything or that a potential customer is going to dig through the reviews, especially if there are hundreds. Hey, thanks, Brian. I’ve rephrased point #24 to “you can’t find much information about reviewers.” I sure know about the that area where you can see the so-called reviewer’s history, but it’s so sparse that it just doesn’t amount to a hill of beans. Especially when you’ve got a drive-by reviewer, who’s only reviewed one place. I have also found that if the “reviewer” has a Google+ Profile setup (which is rather rare, honestly Google+ is a joke), you can see their profile. 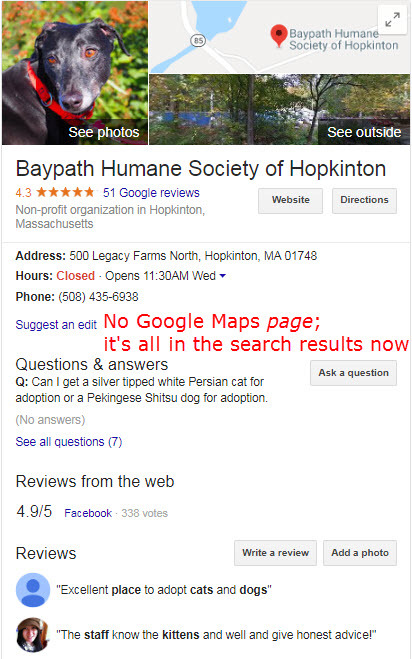 All you have to do is pull up their profile by clicking on their photos and then take the unique string of number in the url after the http://www.google.com/maps/contrib/ and then swap it with the plus.google.com/(unique string of numbers). Anyways that was something I have observed. Phil, great article, and they are indeed hard truths. That’s a great hack, Nate. Thanks! You forgot the repeated reviews where the user posts the same review verbatim on countless similar businesses. That is one of my favorites. I saw one business get the same negative review by 2 different users and all it was a copy and paste job. Seriously, come Google enough is enough, fix the system. Great call, Jason, but my aim wasn’t to list every type of review shenanigan. (Got a couple days?) I’d throw that one into the hamper of point #1: terrible/no oversight from Google. Phil- Love the post. I’d change the title to “25 Things Google Can Change to Save Reviews”. I’m hopeful that 2018 is the year Google moves to clean up their review offering, before it really starts to degrade the value all around. When you offer a feature around reputation, you better think about how you maintain the reputation of the feature itself! If they even moved on 5 of the things you point out in here it would be a giant step forward. The sad part is it isn’t difficult, it’s just where they care to put any focus. Between the things outed from you, Mike Blumenthal’s research and Joy Hawkins, some of the review spam networks are so massive, but yet so basic. Again, here’s hoping! That’d have been a good title. If Google ever cleans up its act, I’ll be out some “hard truths”! My guess is something really bad will need to happen before Google snaps out of its coma. These are some great points made here. It has always seemed that Google My Business was a cluster%&$# to say the least. I have been racking my brain for over a year trying to figure out how local businesses are ranked and appear in the 3-pack. It’s maddening. You say that generally higher rated businesses rank higher in the 3-pack but from everywhere I see and every business I’ve looked at it seems to be completely random. I’m sure ratings do have a partial effect but there are other factors I can’t see that do more for rank. 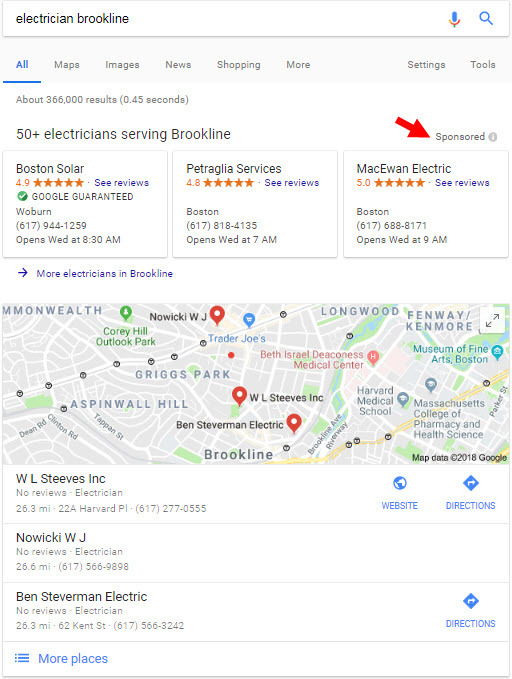 I’ve seen businesses with 0 reviews outrank businesses with 5 5-star reviews which are also located closer to the location I’m at. It’s pure madness but we have to work with it right? Yeah, Google My Business long has been a clusterf…foul. Reviews are but one factor 3-pack rankings – and an indirect ranking factor at that. Many other factors swirl around. I wish some of those factors were more clear. The more I read the more confusing it becomes. Not only that but the less sense it all makes. It’s kind of like nobody knows. But, that’s the way Google works. I have a YouTube channel that does a million views a month and others that do 100 a month. Nobody (including myself) really knows how anything Google works. Sometimes even the people who work there! 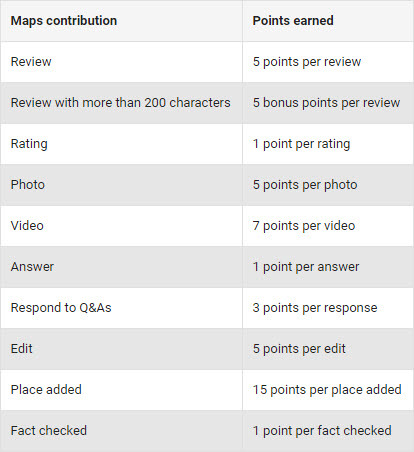 Which points aren’t clear to you? 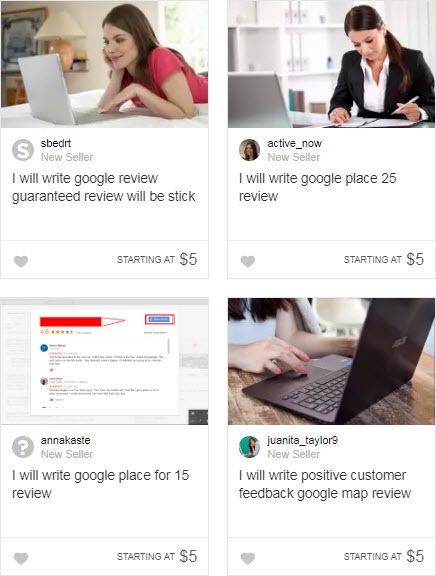 It’s pretty sad how people are review trading, and google just looks the other way… Gives consumers a false sense of security..
For sure, but I’d say that problem hasn’t quite metastasized the way some of the others have. Another issue with GMB is that they do not close the loop, by that I mean users leaving reviews do not get a notification when the business owner responds to their reviews. Research conducted by Google showed that it was easier for a business to retain a customer rather than attractive but there is no way for a business to amend or resolve an issue. On the other side, our guest relations team has a good success rate on Yelp to recover guests after a bad experience because Yelp sends you a notification. Google should do that. It’d make reviews more useful to everyone. Great information. Last year I had a dispute with a fake reviewer. After a few emails and threatening legal action against the reviewer and google, it was taken down, but after a couple of reminders to them also after they said it had been. Which it wasn’t straight away. I did have to go through the law system and send them a complete review about which laws had been broken etc. But after a month approximately it was all finished with. I enjoyed the read and I appreciate how thorough the article is. Fake reviews are frustrating because we work with our clients and try to get open and honest reviews, but then there is always a jerk scamming the system. This is frustrating for our clients and makes them wonder why not just do the same thing. Although I can spot fake reviews pretty quickly at least the ones that are paid for which are usually pretty easy to see. The post is spot on but it’s hard to read the whole thing because it’s all just SO frustrating. If they aren’t going to do anything to minimize review spam there should at least be a better system to have obviously fake reviews removed. Google reviews sure have become a carnival of horrors. I’m a local guide. I write genuine reviews of the places I have been to and have never been approached by any business to write reviews for them. I think with time, Google will find a way to deal with these things as it happens in SEO. Yeah, it’s possible Google will get it together eventually. But I suspect they’ll only do enough quality-control to avoid a PR disaster or an exodus of reviewers. Rozek’s Rule of Reviews #37 states that review sites will do as little real policing as they can. Here’s what I’ll say. You’re not wrong on any of these issues, but Google knows all these deficiencies, and if they could snap their fingers and update the standards you have written above they would instantly. There’s just so much data and so much at stake for these businesses they’d rather do to little than too much. Also, they are marketing to reviewers who leave quality reviews now. It’s a whole new metric and badge. It may have been released after you wrote this. I think you’re underestimating the vastness of the Google Review system, and all of the negative effects more policing would have before Google can be sure it’s done competently. With something this large you either have to choose to let things fall through the cracks or “correct” non-issues as collateral damage. Right now they’re operating more as “innocent until proven guilty.” If you want better policing right away the only thing you can do is move to a less democratic system. I haven’t underestimated a thing. The whole point of the post is to explain how things are, not how they should be. The one hard truth is the reviews get posted and people have the opportunity to determine them for value. The best thing about Google reviews are that they are not censored. I have posted several reviews that reflected poorly on a service provider and the review was blocked on yelp. Posting of reviews to warn and protect consumers from dishonest service providers is necessary. It’s not that hard to determine the real reviews vs. the hype or snipe. We have a small process serving business and many of our clients are what we call pro-se, which means they are not attorneys. They are doing their own legal work because they cant afford attorneys. Many of them have no idea what we do, or how, and don’t even read our terms of service. Many are what we call “hobbyist complainers” – people who just love to write bad reviews on everything and everyone. So we’re getting killed by them, when our other clients who are attorneys and other process serving companies – many of whom have been coming back to us since we started the business 12 years ago, are either too busy or too cautious ( you know attorneys! ) 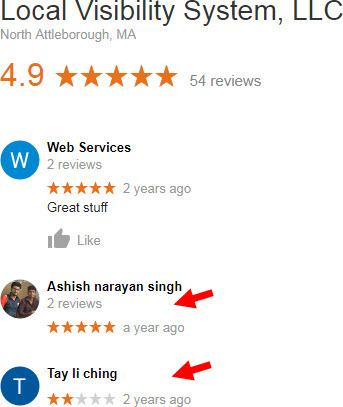 to write us good reviews. And Google Maps won’t even allow us to refute the bad ones, so this has reached the point where it’s seriously harming us – a small “mom and mom” business with one senior and one handicapped woman, who are just trying to survive. We don’t know what to do. Besides encouraging the happy ones to speak up and finding a way to prevent the deadbeats from becoming clients in the first place, there is little you can do. In regards to #10, (photos not being removed even when you report them) – Is this still the case? I read in another one of your blog posts that Google was decent at removing photos… or is that only in regards to graphic/inappropriate photos? I have 32 five star reviews and one 2 star reviews totaling 33 reviews. My rating is 4.9. Can I ever get 5.0 back? A client who had her wedding cake from my business left a 5 star review to which I responded to thank her and a few minutes later her review had gone along with my reply! ! !what on earth is that all about. No know my customer would not have deleted her review and I feel it’s a bit unprofessional to ask her to submit her review again but I’m so upset that it has gone and wonder why. Any thoughts on this problem please? I just terminated an employee. Their retribution was to have 12 friends leave 1 star reviews. All of which are actually kind of hilarious after reading all of them together. Especially since they were posted at the exact same time (it must have been a review party). They are so outlandish, it’s obvious to anyone that reads 1-2 that it’s a disgruntled employee and her friends. Unfortunately for me, it worked for her and my rating went from a 5 to a 3.1. I would LOVE to post a link to your article on my google page and facebook pages, hoping that if someone sees those reviews and digs in a little bit more, they can come across your article and see why I can’t make those go away. Is that OK with you? I would suggest going to review section in GMB and state this review was left by a disgruntled employee (and explain why she was terminated) who then solicited her friends to leave similar negative reviews. (Point out how the reviews “all look the same/occurred at the same time, etc”. Don’t call her an idiot but SHOW (in eloquent terms) the post was written by “a disgruntled employee”. ie, the desired result being that when someone reads her review and then your reply, the READER’S conclusion is, “Yeah, sounds like an idiot looking for payback”. Then go to Maps and edit all the reviews as “inappropriate”. After 7 days hit up GMB on Twitter. That’s my take.